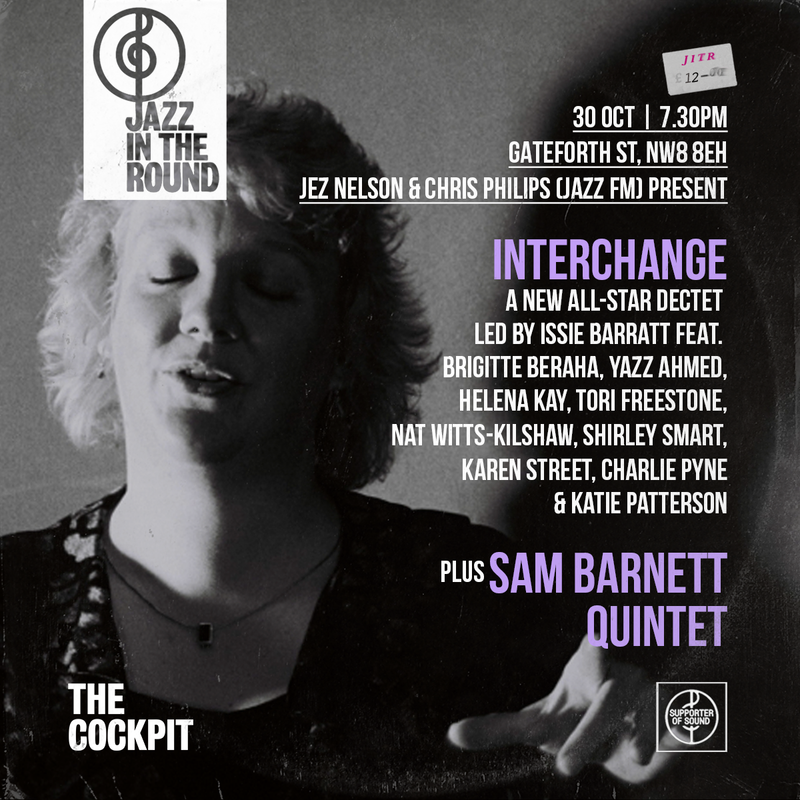 Jazz In The The Round returns on Monday 30th October at London’s Cockpit Theatre with an awesome all-woman dectet called Interchange led by Issie Barratt. Among the line-up in Interchange are trumpeter Yazz Ahmed, saxophonist Tori Freestone and vocalist Brigitte Beraha. The opening set comes from super-talented South Londoner, composer and saxophonist Sam Barnett and his Quintet who’s compositional ability are astounding for a 16 year old. Click here for more info and tickets.